He could see the framed needlepoint above the mantel, Families Are Forever, and wondered if the slogan was meant as a promise or a threat. 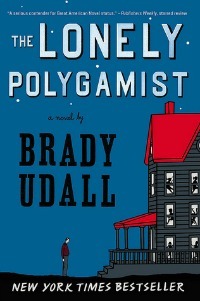 I picked up The Lonely Polygamist after I saw it on many “best of” lists and read a few favorable reviews from bloggers whose opinions I trust. I should tell you that after reading the first 300 pages I put the book down for a week or so and started a new book because I needed a break. Not in the "this book is so overwhelming I need a break" sense but in the "this book is never ending" sense. In the end I’m glad I went back and finished it – it was enjoyable – but it felt a little too dragged out and meandering. In its entirety, the novel could have easily been condensed to 400 pages or so, as opposed to a little over 600. This book is entertaining and has flashes of comedy but while reading, there was a part of me that felt like an outsider looking in. I knew it was funny but I didn’t laugh. It was almost like I felt removed from the humor somehow. Even though it was long and drawn out, there were characters and instances that kept me interested. I mean, I wouldn’t have read 600 pages worth if there weren’t. Rusty was by far my favorite. I found him to be the most compelling of all the characters and mostly, I can’t help but cheer for the underdog. Was it a fun, smart read? Yes. Maybe that’s what matters most at the end of the day. It’s chock full of fighting family members, awkward relationships, and sexually frustrated women. The book is also quite literary, as Udall throws in all sorts of tropes and metaphors. 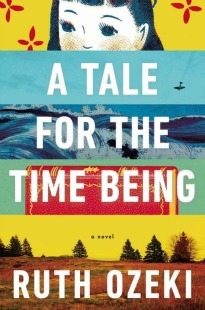 As the title implies, the novel ultimately explores one man’s loneliness and the loneliness of those close to him. I found the majority of it to be kind of endearing. It was just altogether too long. I honestly don't know too much about this book. I've seen it here and there, but have no clue what's really going on. The title suggests so much, but there's much (a ton considering the 600 pg count) to left wanting. Sometimes you happen upon those so-so reads, but admire you for sticking through all 600 pages. I probably would have tossed it! I was pretty close to tossing it but I was already halfway through so I thought, I've made it this far! May as well finish! But yeah, as you said, it was so-so. Dude, 600 pages? That is RIDICULOUS. I'll do that for Harry Potter and GWTW, but a novel written nowadays when we have extra-short attention spans has to have a lot of balls to be that long. Ugh for real. I'm exhausted just thinking about it. The cover really grabs my attention- I've seen it a couple of times at bookstores but haven't been compelled to buy it, just yet. Good and honest review! I always like a smart read. The cover grabbed my attention as well. I actually prefer this one to the hardback cover. The way you describe it, it seems like the type of book where the author gets in the way. He wants you to laugh at certain moments. Highly corrosive for general enjoyment of a novel. Will take a pass. You're kind of right. Plus, I believe this is Udall's debut novel. I'd be interested to see what he writes next. I probably won't read it if it's over 300 pages though. This is pretty much exactly how felt about the book. I really liked the Rusty chapters, and I also felt like it was too long. I didn't like Golden even though i really felt like I was supposed to. Basically, I really wanted to like it more than I did. I didn't like Golden much either. Glad to hear I'm not the only one let down by the book. That's what I thought too. I also wondered how inspired it was by Big Love, too... Good book, but way to damn long. I've never seen Big Love but I'm curious to watch an episode. I watch Sister Wives on occasion and even though the husband is kind of douchy I still find the show interesting. I've picked this up at the bookstore again and again, but I haven't bought it. I don't have a ton of money to spend on books, and I was afraid I might be disappointed. It's a curious phenomenon, these incredibly long novels. I've read several over the past couple of years that I, too, thought should have been edited down. I used to write short stories, and I'm a huge fan of Cheever, Hemingway, Dubus, and Carver. They get to the point and tell achingly human stories in such small spaces that anything needlessly long irks me. I actually just asked for recs for books dealing with polygamy today. This one was the first book mentioned, and I've had my doubts about it for a while. This probably sounds weird, but I tend to shy away from books with humor. I prefer my characters miserable and tortured, I suppose. And none too happy about it. I'm in agreement with most commenters. I'm not immediately opposed to long novels -- some of my favorites are huge tomes that barely fit in a purse -- however, there has to be a reason for the length and it doesn't seem that this book necessitated that. Thanks too for the honest review! Interesting how some books just click for some people, like the bloggers that recommended it to you, but just don't jive with others. Good to keep in perspective with the deluge of recommendations we get every day from multiple people. I listened to the audio version, which certainly improved my opinion of it - because the narrator was wonderful, and because that meant I got to accomplish something else while "reading". :) I do agree that it was too long. The first third of the book especially found me sighing and looking at my progress. I adored Rusty, had to laugh about Reno/Nevada (I grew up in a small town in the CA mountains, but Reno was our closest city, so I'm familiar with it) and really enjoyed how different chapters were written from different perspectives. The characters were more like caricatures, but somehow it just hit me right. It does seem to be a book that either agrees with you or doesn't.